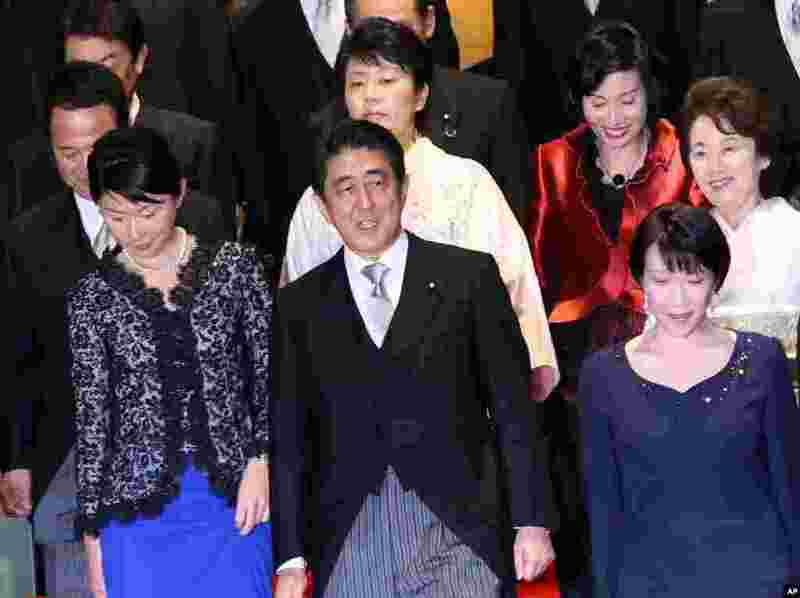 Five women have been named to Japan's new Cabinet, underscoring Prime Minister Shinzo Abe's commitment to better utilizing women to help revitalize the economy. 1 Newly appointed ministers leave the prime minister's office for the Imperial Palace for the attestation ceremony in Tokyo, Sept. 3, 2014. 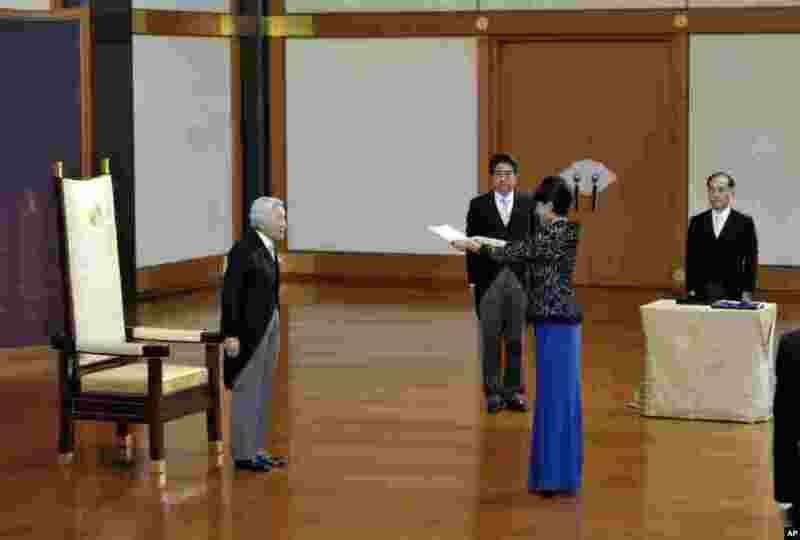 2 Japanese Emperor Akihito (left) accompanied by Prime Minister Shinzo Abe (second left) stands as newly-appointed Trade and Economy Minister Yuko Obuchi, second right, receives a attestation certificate during a ceremony at the Imperial Palace, in Tokyo, Sept. 3, 2014. 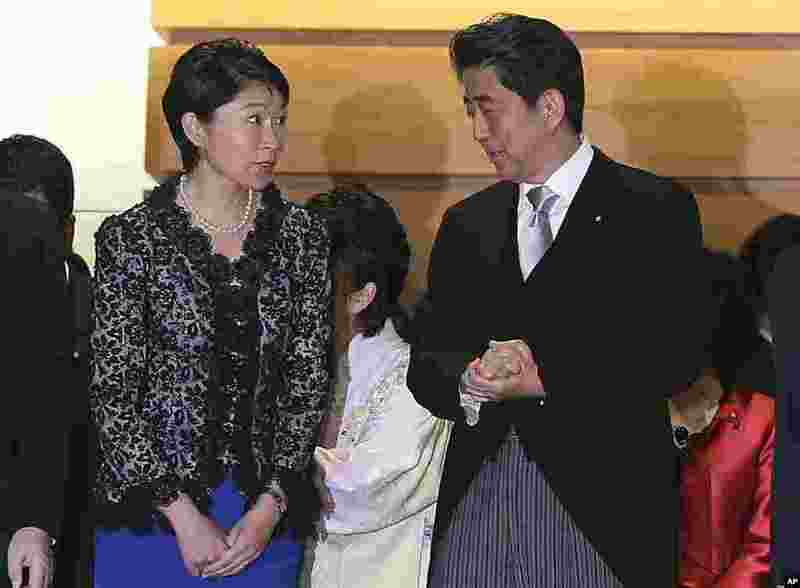 3 Japan's Prime Minister Shinzo Abe and his newly appointed Trade Minister Yuko Obuchi chat prior to a group photo following the first cabinet meeting at the prime minister's official residence, in Tokyo, Sept. 3, 2014. 4 Japan's Prime Minister Shinzo Abe (front row center) and his new cabinet members gather for a photo session following the first cabinet meeting at the prime minister's official residence in Tokyo, Sept. 3, 2014. 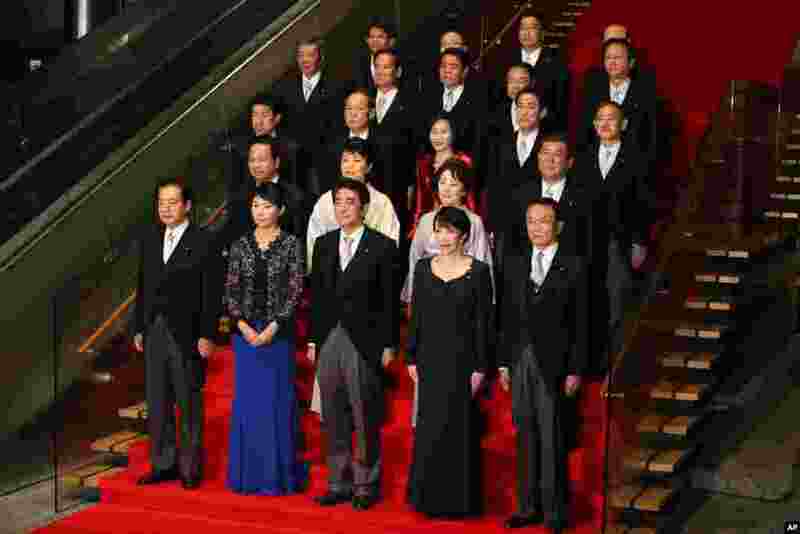 5 Japan's Prime Minister Shinzo Abe (front row center) and his new cabinet members pose for a group photo following the first cabinet meeting at the prime minister's official residence, in Tokyo, Sept. 3, 2014.